What's the Difference Between the Roku Express and Roku Streaming Stick? What’s the Difference Between the Roku Express and Roku Streaming Stick? If you’re looking to buy a streaming device, there are a lot of things you need to consider 7 Questions to Ask Before Buying a Digital Media Player 7 Questions to Ask Before Buying a Digital Media Player If you're thinking about buying your first digital media player (also known as streaming device), these questions will help you to avoid making any grave mistakes. Read More : Do you need one? Which features are important to you? How much will it cost? If you’ve worked through everything and decided on a Roku, you’ve made a smart choice. 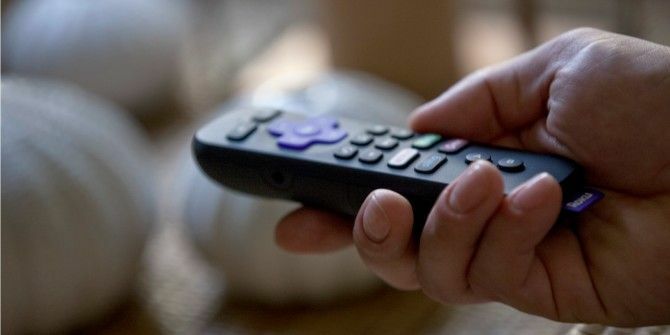 There are lots of hidden tricks 10 Clever Tricks for Your Roku 10 Clever Tricks for Your Roku Roku boxes are incredibly easy to set up and use, but there are lots of little tips and tricks that will vastly improve your experience. Here are 10 of the best... Read More and private channels 20 Private Roku Channels You Should Install Right Now 20 Private Roku Channels You Should Install Right Now Here's how to add private channels to your Roku, alongside some of the best private Roku channels you can install right now. Read More to explore. But now you have another choice to make: Which model should you buy Which Roku Media Streamer Should You Buy? Which Roku Media Streamer Should You Buy? The current offering is split into five products – the Roku Streaming Stick, and the Roku 1, 2, 3, and 4. This article looks at what each product can offer, and tries to ascertain which... Read More ? Unlike Chromecasts, Nvidia Shields, and Apple TVs, there are a dizzying array of options. In fact, at the time of writing, there are six models! For an entry-level product, focus on these three: the Express, Express+, and Streaming Stick. But what are the differences? Let’s take a look. The three models have a lot of similarities. All three of them are dongle-based (rather than set-top boxes), they all support up to 1080p resolution, they all have a universal search function, and they all offer private listening via the mobile app. So, where do they differ? If you’ve got an old television with composite A/V inputs, you need the $39.99 Express+. It’s the only product in the entire Roku family that has A/V ports, and is the perfect way to give a new lease of life to an old TV stuck in the back of your garage. The Streaming Stick, which also costs $39.99, is the most powerful. It boasts a quad-core processor, so apps open and run much faster as a result. Lastly, the Express ($29.99) and the Express+ both have line-of-sight IR blaster remotes. The Streaming Stick uses a point-anywhere Wi-Fi connection. Which Roku do you have? Are you happy using a dongle, or would you prefer a set-top model such as the Premiere, Premiere+, or Ultra instead? Let us know in the comments. Explore more about: Media Streaming, Roku. I use the Roku stick in the livingroom and Roku express in the bedroom. It takes the express a little longer to start up but once it starts a show works great with no buffering. The Express and I am in love with the product. Bandwidth is a concern so nothing too fancy, IR remote is just fine. Roku express please. I have an older Roku streaming stick that I've been using for 3 years with my Roku-ready TV and have been quite happy with it, except for the fact that it does allow for casting from an Android or Windows device. So I "upgraded" to a newer streaming stick but found that my TV remote, which is IR, no longer worked with the stick and I had to use the separate Roku remote. I probably use the casting feature once a year, but I use the remote every day, so I downgraded to the old stick. Roku stick does not work with slingplayer for iPad. Problem has been documented for almost a year with no support. Roku claims it is sling's problem, but other Roku products work ok.
Don’t Buy a Smart TV: Buy a Roku Instead!